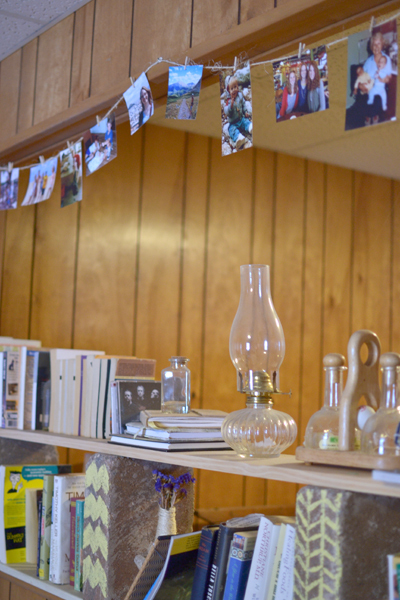 I don’t share home projects often, because our rented apartment is small and full of wood paneling and not very photogenic or conducive to great projects. I honestly think this place makes cute things look bad in pictures! But this was an easy and cheap project that I knocked out in less than an hour, and maybe it will give someone out there an idea for displaying pictures or dressing up their own awkward space. Our apartment is 1 and 1/2 rooms – kitchen and living room in one room, with a half-wall (alas, no door) separating the bedroom from the rest of the house. 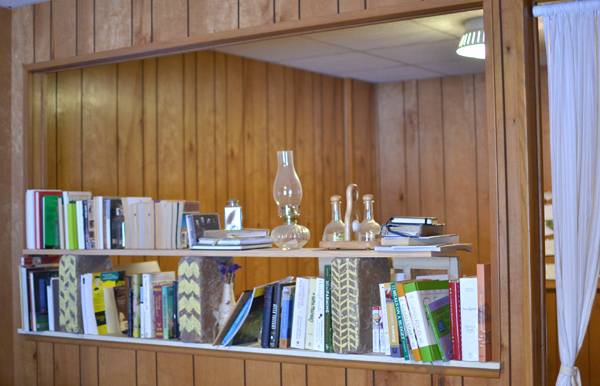 We “built” a bookshelf in the half-wall with painted landscaping bricks and a piece of lumber, and honestly the space didn’t bother me too much until we decorated for Christmas. We had garland and lights hung in the opening and after seeing what it looked like with something filling all that space, it just looked wrong once the greenery came down. 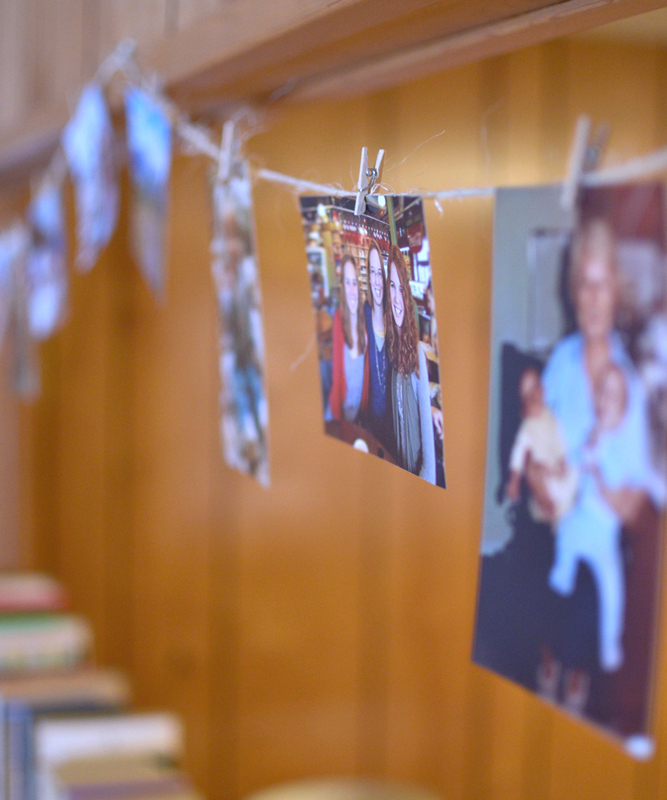 I have a lot of pictures of us growing up, and an abundance of twine left over from the wedding. I strung up the twine in the opening, and used itty clothespins (most craft stores, and Walmart, sell them) to attach the photos for an easy bunting, of sorts. Tags: crafts, decorating, DIY. Bookmark the permalink.